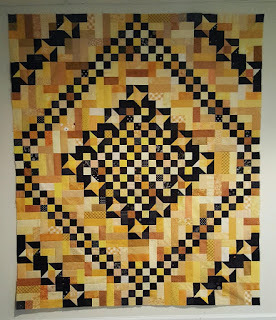 Attic Threads & Quilts: MQS news and Look Kevin, I Can do Scrappy! PICTURES!!!! MQS news and Look Kevin, I Can do Scrappy! PICTURES!!!! It seems like forever since I posted, but I have been so busy. As some of you know, I have started teaching at some of the National Long Arm shows. In April I headed East, the furthest East I've been in the US. I spent 3 days teaching at MQX New England. My students were AWESOME! Hopefully they'll have me back next year. There were some beautiful quilts there. As a teacher, I had the honor of awarding a Teacher's Ribbon to a quilt of my choice. I choose Jane O. 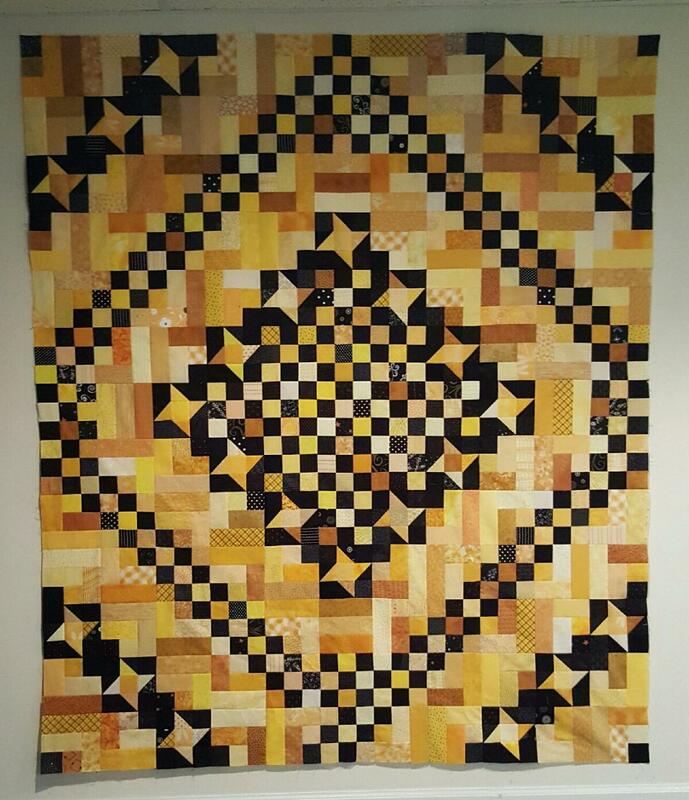 's Quilt, "Gus and Maria's Agave Garden". This is my favorite kind of quilting, all the bright colored threads on the black background! Hubby and I spent a few days sight seeing on the way up and also on the way back, a mini vacation. We had a picnic on the beach at Lake Erie, in the snow, in 29', in the van. We drove thru Vermont's mountains, absolutely beautiful. Snow on the ground, beautiful scenery, maple syrup, I could definitely visit there again. On the way home we stopped at Gettysburg and Antietam. Hubby is a history buff. Yesterday I spent the morning at my Stitch 'n Time Quilt Guild meeting. All of the "Look Kevin, I can do Scrappy" Mystery Quilts were due. 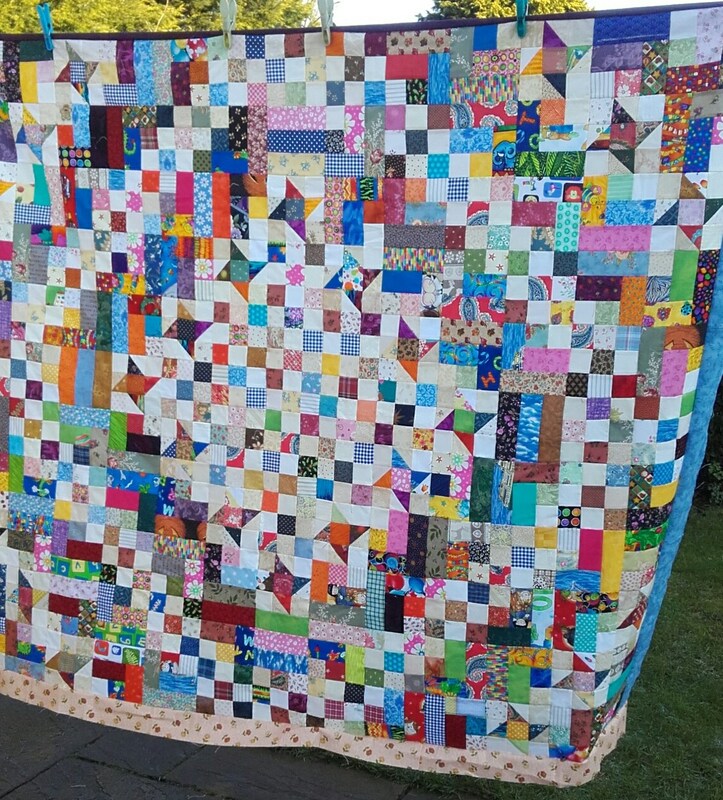 I was amazed and doing my little happy dance when I saw all the quilts members had made! 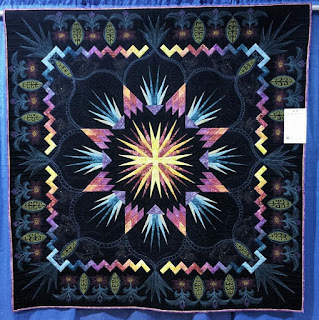 I am happy to share our Show 'n Tell of Mystery Quilts with you. If you have completed yours, please send me pics to post. I love how they all turned out. Mine is in batiks, but I may have to make another one in Thimbleberries or Kansas Troubles. 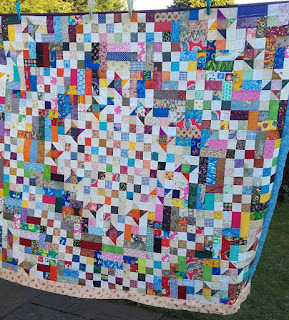 In case you didn't know, this Mystery Quilt is named after my friend Kevin, (blogs at Kevin The Quilter) who I consider the King of Scraps. This first quilt is his. He reversed the lights and darks, using golds and blacks. I love how it turned out! This next quilt is from Susan P. who found my blog and created this beautiful spring version. Finished with a scalloped border! My friend. Unfortunately her Studio burned to the ground with all her quilting supplies and her quilt. She vows to make another one in the future! I hope you all have enjoyed seeing the Mystery Quilts these amazing quilters made. I know I did.